In addition to being a famous nurse, Lillian Wald was also a humanitarian, teacher, peace and civil rights activist, social worker, public health official and author. 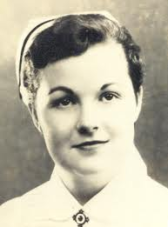 Her nursing education allowed her to see the deplorable conditions that she labored so valiantly to improve and gave her the knowledge and skills to achieve her mission. Lillian D. Wald was the third of four children born to affluent German-Jewish parents in Cincinnati, Ohio on March 10, 1867. She later described her childhood as happy in a home that was filled with books and music. The family moved to Rochester, New York, in 1878, and there she attended a boarding and day school. Her interest in nursing was awakened when she watched a private duty nurse take care of her sister. In 1889, she entered the New York Hospital Training School for Nurses and graduated in 1891. Postgraduate courses introduced her to home nursing in the poor Lower East Side of New York where she saw how immigrant families existed in their meager surroundings. Her student assignment was to structure a home nursing plan. The miserable living conditions of the immigrants affected Lillian so deeply that she moved to their neighborhood and set up an office to treat their medical needs, becoming the first public health nurse. As she gained the confidence of the people and managed to obtain financial support, her staff increased to four nurses. Needing more space, she moved the office to 265 Henry Street in 1895 where it still is in operation today as Henry Street Settlement. By 1906, the staff of Henry Street Settlement grew to 27, and by 1913, there were 92 nurses and other staff members. Lillian called their work public health nursing, and they not only addressed medical needs but also taught basic sanitation, cooking and sewing. She saw the need for public school nursing, and her ideas and recommendations prompted the New York Board of Health to organize the first public health nursing service in the world, the Visiting Nurse Service of New York. She also convinced Metropolitan Life Insurance Company to provide nursing insurance, and other insurance companies followed its lead. Wald reached out to the community in numerous ways. She saw a need for a recreational and cultural center and opened the Henry Street Neighborhood Playhouse in 1915. She became active in the labor movement and helped start the Women's Trade Union League in 1903. Always concerned about the treatment of African-Americans, she was one of the founders of the National Association of the Advancement of Colored People (NAACP). Their first public meeting was held at the Henry Street Settlement. Wald's involvement in international humanitarian issues was heightened by a six-month trip to various counties in 1910. In 1914, her belief in women's suffrage and peace led her to protest the United States' entrance into World War I. She joined the Women's Peace Party and helped organize the Women's International League for Peace and Freedom. Through Wald's work, she gained the attention of public officials. Before the end of her career, she received numerous awards and was recognized for her public health contributions by the New York governor, New York City mayor and President Franklin R. Roosevelt. In 1922, she was named as one of the 12 greatest living women by the New York Times and later was named the Outstanding Citizen of New York. Historians regard Lillian D. Wald as the founder of the modern-day public health nursing. The Henry Street Settlement and the Visiting Nurse Service in New York City stand as living memorials to her lifelong dedication to humanitarian causes. At her death in 1940, thousands of people from all walks of life mourned the loss of a leader. She once said that nursing was love, and she lived by that truth until the end of her life.